John Deere Power Systems (JDPS) continues to lead its OEM customers seamlessly through the upcoming emissions transition with a lineup of engines that have received Stage V certification. This includes its variable-speed engine families below 56 kW (75 hp) and above 130 kW (174 hp) as well as its constant speed engine families. The Industrial Stage V lineup from John Deere offers ratings from 36 to more than 500 kW (48 to more than 670 hp) with displacements of 2.9L through the upcoming 13.6L. The Stage V technologies used on these engines are built upon years of engine and application engineering expertise. As both an engine and machine manufacturer, John Deere boasts a remarkable 1 billion hours of global experience with diesel particulate filter technologies — this extensive knowledge is the basis of the proven emissions solutions provided to OEM customers. “Through each consecutive stage of emissions regulations, John Deere provided solutions that addressed key customer needs. These included increased uptime, low operating costs and flexible integration. The same applies to Stage V,” said Sandrine Couasnon, manager, marketing services and sales engineering for Europe, Africa and the Middle East at JDPS. Stage V aftertreatment technologies from John Deere are optimized for flexible integration and several offer reduced packaging and weight from previous Stage IV solutions. And because the technologies are built on the same engine platform as current Stage IV solutions, the need for OEMs to re-engineer due to hardware or mounting changes is reduced. Learn more about John Deere Stage V aftertreatment technologies at BAUMA, Hall A4 — Stand 139, 8 — 14 April 2019. Deere & Company (NYSE: DE) is a world leader in providing advanced products and services and is committed to the success of customers whose work is linked to the land - those who cultivate, harvest, transform, enrich and build upon the land to meet the world’s dramatically increasing need for food, fuel, shelter and infrastructure. Since 1837, John Deere has delivered innovative products of superior quality built on a tradition of integrity. For more information, visit John Deere at its worldwide website at www.JohnDeere.com. 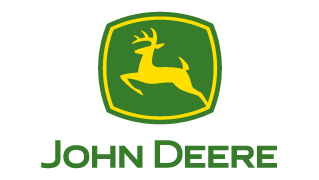 John Deere Power Systems manufactures and markets industrial, marine, and generator drive diesel engines, as well as drivetrain components for use in a variety of off-highway applications. For more information, visit John Deere Power Systems at www.JohnDeere.com/jdpower.